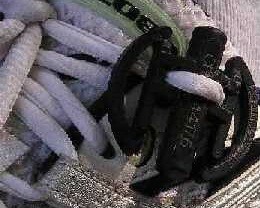 Thread one of your shoelaces through the small square holes in the chip (NOT the "wings"). Push the chip snug to your shoe, and tie your laces normally. 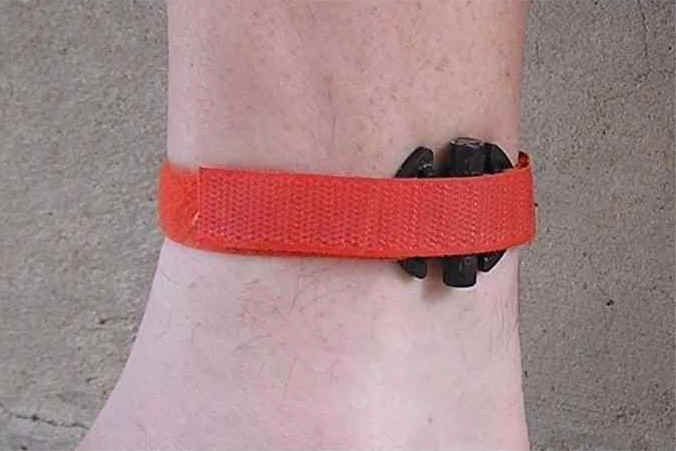 Wear the chip on your LEFT ankle to avoid bike gearing/chains. 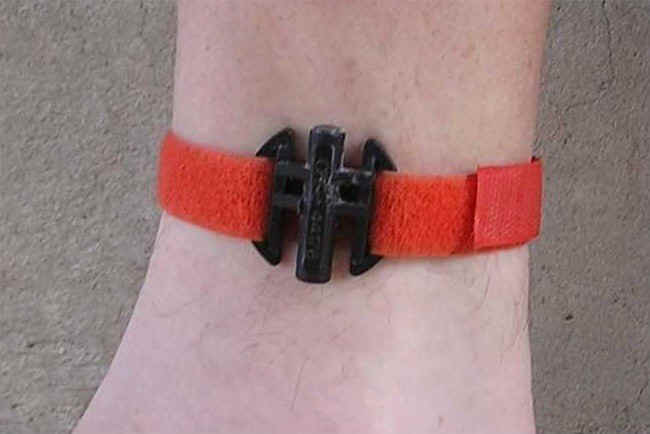 Chip can be worn over or under your sock. When swimming, wear UNDER your wetsuit. 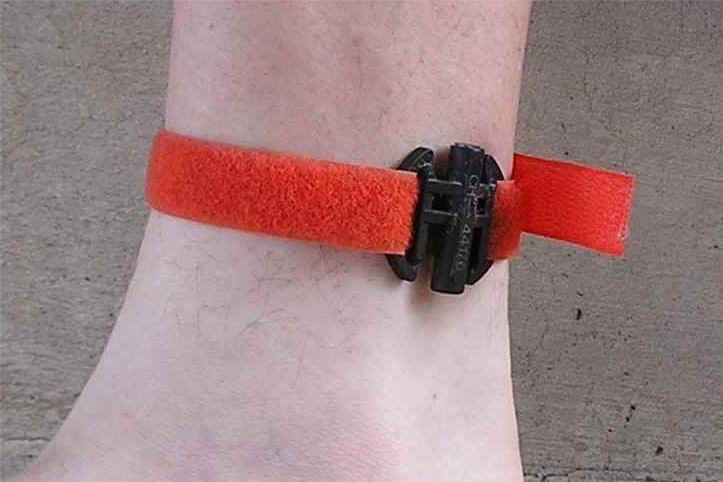 Allow enough slack to fit a finger between strap and ankle to cut down on chafing. Do NOT cut or alter the strap in any way. Move the chip along the strap until it is in a position where the velcro hooks connect totally with the underlying fuzz, even if it means the fuzzy part of the strap covers the chip. At the finish, there will be "chip takers" whose job it is to remove your chip (& clip/strap if applicable). Do NOT leave the finish area until you return your chip. You are responsible for the return of your chip. If you do not finish the race: return your Chip in a padded mailer with a note telling us what race the chip is from and what your bib# was. Print "Hand Cancel" in bold letters on the envelope (so the USPS handles it nicely). DO NOT place the chip in a regular envelope because chances are EXTREMELY high that we will receive a torn envelope with no chip inside. You will be held responsible, and WILL BE CHARGED, for the missing chip.